There are 36 beautiful important scenery that are registered as national special sceneries by Ministry of Education, Culture, Sports, Science and Technology. Because of their excellent view and beautiful sceneries, they are preserved by the government. Those sceneries are Japanese gardens, valleys, islands or mountains. Mount Fuji ( 富士山, a.k.a. Fuji-san.) is the highest mountain in Japan at 3,776m (12,388ft). Along with Mount Tate and Mount Haku, it is one of Japan's "Three Holy Mountains" ( 三霊山 Sanreizan). 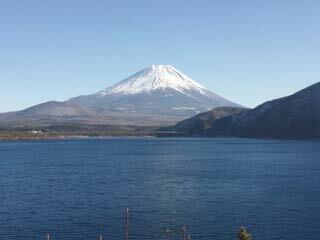 An active volcano that last erupted in 1707-1708, Mount Fuji is just west of Tokyo, and can be seen on a clear day. Mount Fuji's exceptionally symmetrical cone is a well-known symbol of Japan and it is frequently depicted in art and photographs, as well as visited by sightseers and climbers.